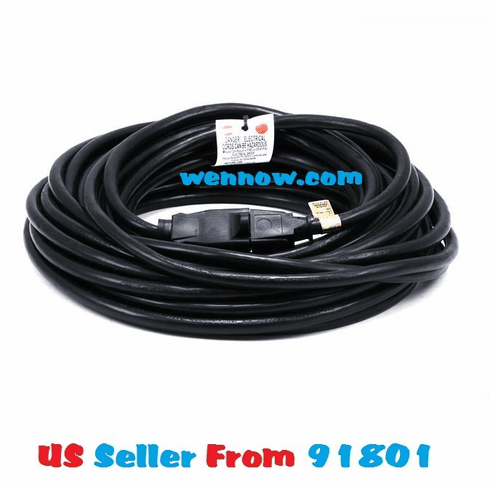 320601615884 14AWG Power Extension Cord Cable - SJTW 14/3C NEMA 5-15P TO NEMA 5-15R (15A/125V) AP301+SP506 - 50FT Need a temporary fix for short power cables? This extension cables are the perfect solution. Each cable is made from high quality copper wire and is designed to handle 125V power connections. Sturdy 3 prong connectors ensure a solid connection to your existing cable and your wall outlet. This cable is rated SJTW (Weather and Water Resistant), it is approved for indoor and outdoor use.